Not only do we offer custom metal stamping, powder coating, cap nuts, and other forms of metal fabrication, but we now do CNC laser machining. 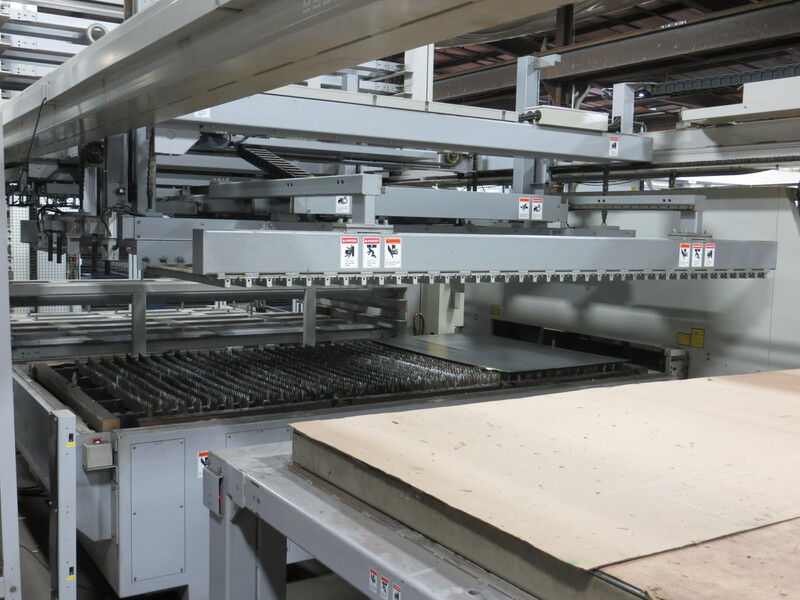 This is due in part to the newest addition to our shop floor – a Mitsubishi ML-3015LVPlus CNC Laser cutter. Essentially, CNC laser machining is exactly what it sounds like. The designs are created and fed into the machine. Then, the metal – the thickness of which depends on the type of metal, which we’ll go into in a minute – is inserted. The machine cuts the parts precisely, based on the programmed design. The final results are very precise, since they’ve been cut by a laser, and the process routinely goes very smoothly. The metal that can be cut by the Mitsubishi ML-3015LVPlus varies. The machine can handle mild steel that’s up to three-quarters of an inch thick, as well as stainless steel that’s no more than three-eighths of an inch. This gives our customers plenty of options. We can make parts for many different industries with this machine, which works by either burning, melting, vaporizing, or simply cutting the metal in order to form the part. Why did we decide to add a new machine to our shop floor? We felt that it was time to increase our capabilities and our offerings in order to make our customers happy. A CNC laser cutter was the next logical step. Typical industrial uses for this CNC laser cutter include creating small parts for various industries, including automotive, boating, aerospace, and more. Any part that must be made from metal, we can handle it! If you need some small metal parts that must be as precise as possible, then you’ve reached the right place. And of course, if you have additional questions about CNC laser machining or any of the other services that we offer, please give us a call at (440) 236-6677. You can also reach us through the contact us form on our website. This entry was posted in Uncategorized and tagged cnc laser, laser machining. Bookmark the permalink.